It took a year to feel that I am ready to tell a story about my journey to Rome. This city was never on my bucket list, and I have not thought about it at all for many years. I’ve never liked the history of this angry city, as I called it to myself. The city of warriors and ancient conquerors who left their marks across all my favorite ancient civilizations and built its glorious mighty Empire on bones. Yep, don’t be angry with my ignorance, I paid my price by letting its ancient magnificent culture to go past me. So, why have I decided to visit Rome? Hm… the honest answer is I don’t know. I think I can blame my Dad, who visited it 2 years earlier and since that he could not stop telling great stories about the city. I wanted something sunny, something European, and full of history and culture. What city can fit as much as Rome – the eternal capital of the whole world? It was always a capital. It was always the center of civilization. All the roads lead to Rome… as old proverb tells. And it looks like that. I spent three days in this city and fell in love with the diversity of cultures and history. It surrounds you, you can’t hide. You think you are hidden from history by the column, but take a close look – the column is from 1 century B.C. You bent to tie shoelaces, and you are standing on ancient brick from 2 century A.D. Here, come see the favorite walking trail of Cesar. Eat the favorite salad of Cesar, come and try the model of his favorite snickers! 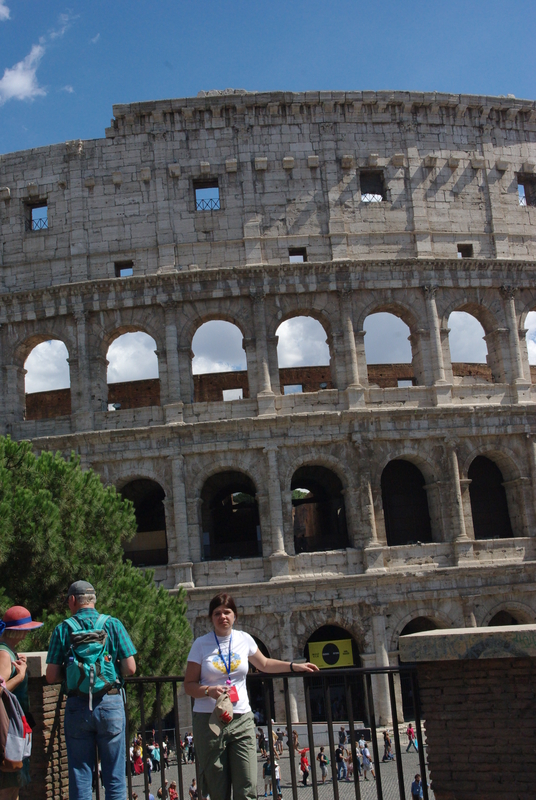 To sum up, my goals to come to Rome, it was the best price and lots of museums to see. Heck, Rome is museum itself. One big museum. And that’s the best in it. Oh, and there is the tastiest sparkling water from fountains around the city for free. I have never tried something like that before. And if you don’t think that water is the reason to go to Rome, just try their ice-cream, their sweet-sweet gelato, the best ice cream in Europe, for sure. It’s all natural and eco-friendly, even in supermarkets. They have very strict rules on its quality in Italy. It looks like Italians believe their dignity depends on the quality of their food. And trust me, they have a lot of dignity to show. Pizza, coffee, cannoli, pasta carbonara, scoglio, tiramisu… it sounds delicious, it tastes delicious. Oh, and don’t forget about Italian wine, olives, cheese, oil. Enough with food. It still makes me want to go and eat big pizza with four different kinds of cheese. Never! Never! Never taste the wine on a hot day, if you have even slightest headache especially when you go to travel few hours by bus after that! Trust me! You don’t want to know what will be next. And by the way, they do have lots of such places where you can taste several types of wine for free. It is hard to avoid free offers, especially if it is real Italian wine! Follow the signs in a subway. It is easy to get lost! If you are not sure where to go, ask anyone. Usually, they are eager to help. If you got lost anyway, go back to the beginning or ask the staff of subway. Don’t be afraid to eat in the center. Usually, guides will warn you not to eat in the center of Rome because it is expensive, and only they know the best offers! It is a big fat lie! They just receive percent from the price you are paying in the restaurant they recommend. Prices are not so different at the center. If you don’t know where to eat, read the menu outside every restaurant and café. They have them in English as well. Toilets! Yeah… it can be a problem for many tourists. Especially, if your hotel is far from the center and you don’t want to run there every time you need. There are toilets in every restaurant and possibly café. And in every fast food chain for sure. Just go! Grab a coffee or skip it and use their private room! Take a hat! Always cover your head in summer in Italy. It is not as hot as everyone thinks it is. The temperature is high, that’s true. But you don’t feel it as much as in other sunny countries. Still, it is so easy to have a sunburn and even did not feel it. Drink as much water as you want! Pick an empty bottle and fill it with the water from drinking fountains at the streets. 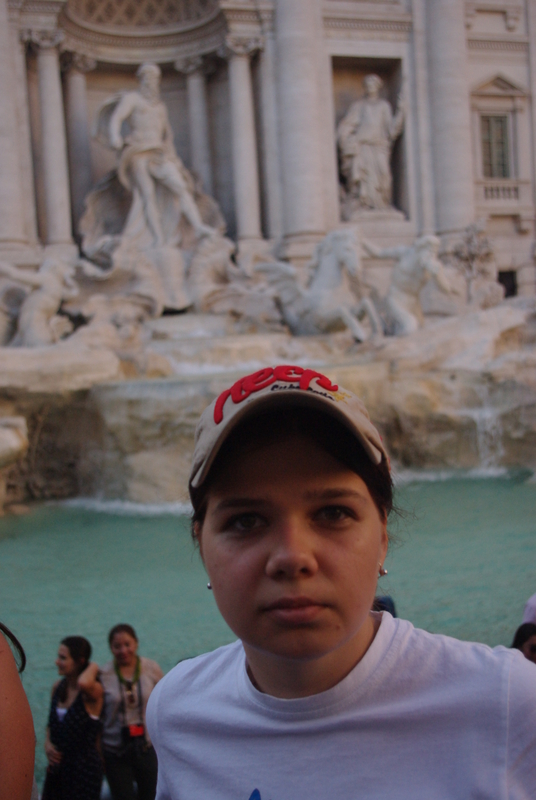 There are two fountains with water right near the Colosseum. 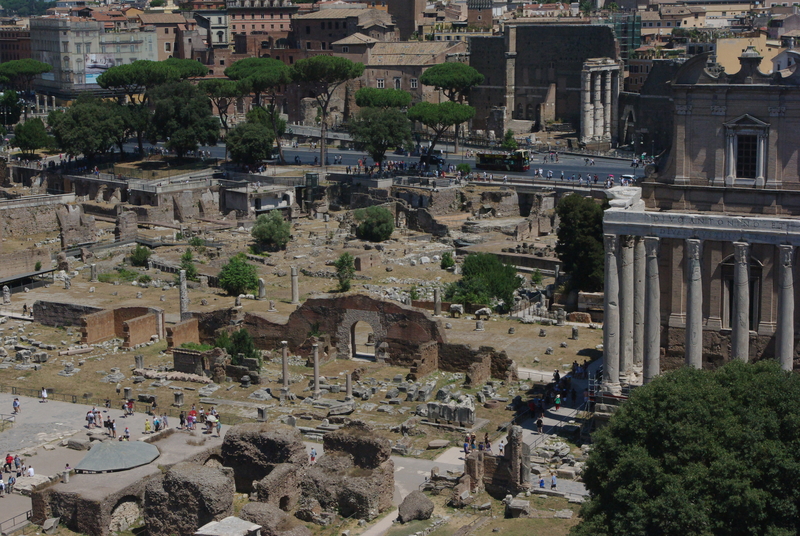 If you want to visit Roman Forum, don’t stand in a huge line of tourists near Colosseum to get the tickets. 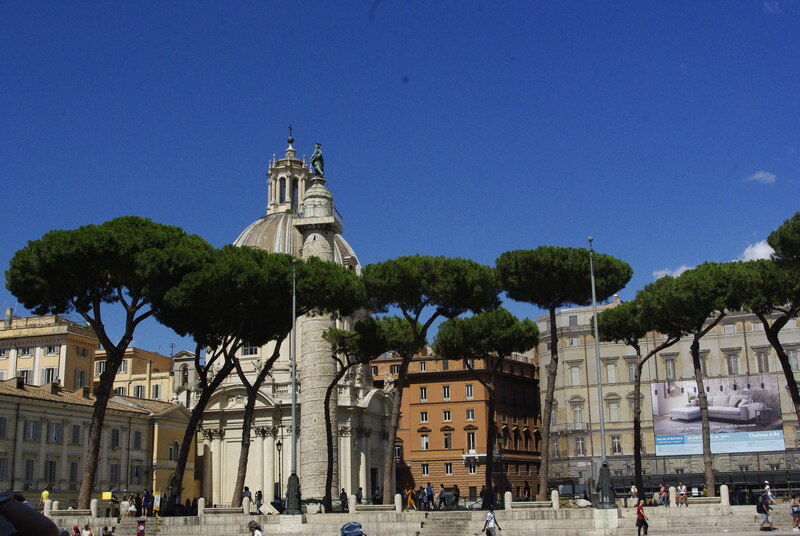 Walk a little bit further to the main entrance that starts with a visit to Capitoline Hill. There is no one there and you can easily buy tickets, even if you have only cash. Don’t buy tickets to Vatican Museum from guys on the streets. It seems easier. You will not have to stand in line. However, it will be twice cheaper if you will stand for a half of an hour in the line and there are more guarantees that nobody will fool you. It is not so hard to stand there. You can also meet lots of new friends from other countries and blame long lines together. Don’t eat oranges from the street. Even if there are lots of them and you love them so much, don’t waste your time. They are more like flowers to Romans. They are not eatable. Don’t be afraid of screaming drivers! They are just Italians. That’s the way they speak with each other. At the end of the trip, you will think that emotional crazy and very sweet Italians are the best. They are ready to help, they are easy to make friends, and you will fall in love with their beautiful language. Learn few similar phrases like: Buongiorno – good day or hi!, arrividerci – see you soon, grazie millie – thank you very much, per favore- please, scusi – I am sorry, prego – you are welcome, quanto costa – how much and non capisco – I don’t understand. 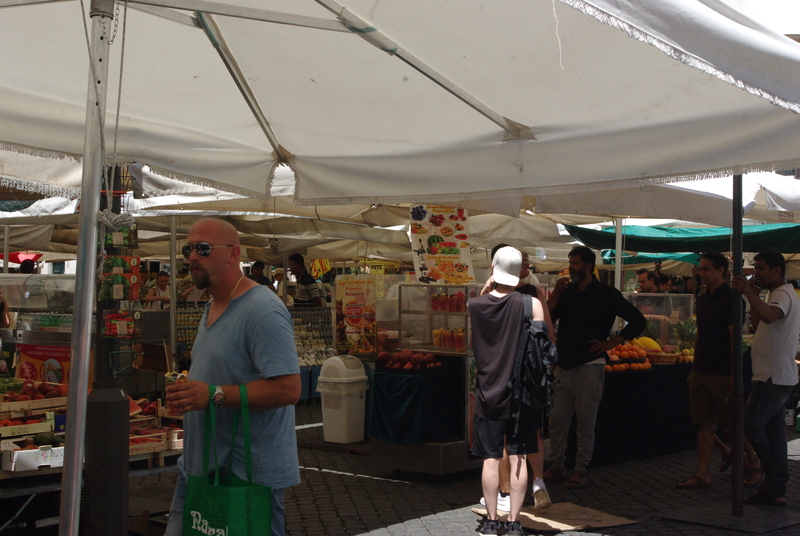 Italians love to hear their own language from tourists! Don’t forget to say bene when they ask you how do you like their pizza. 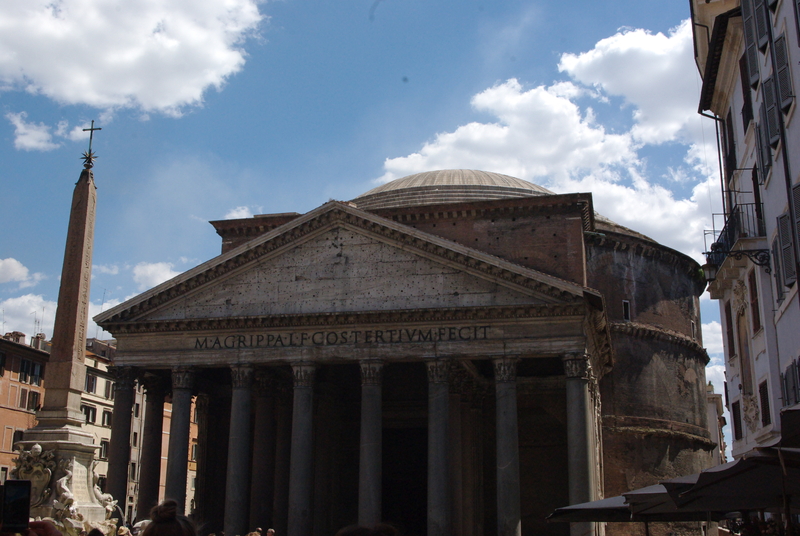 My trip to Rome was unforgettable, full of present surprises, revelations, and a new point of view on the history of this beautiful city, the capital of the world! I wish you to have the same experience!